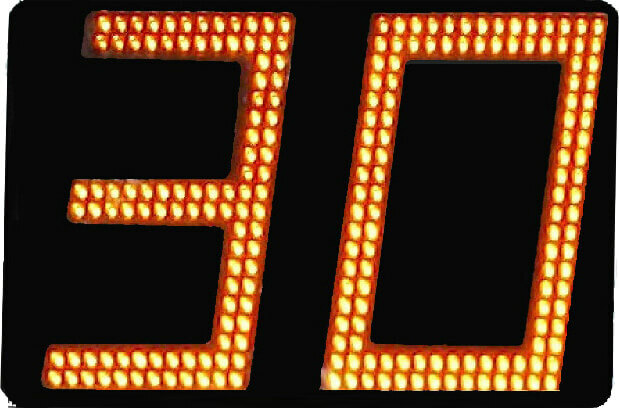 The TC-600 full matrix radar speed sign is one sign with multiple display options and is available in AC and solar power models. 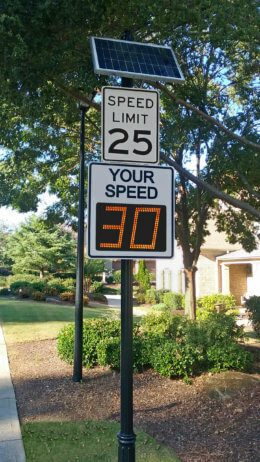 The speed and message displays are easily readable up to 600 feet away. The TC-600 is ideal for roads with traffic speeds of 5-70 mph. Hyper-Alerts™ are compact clusters of LED lights built right into the “Your Speed” faceplate of the TC-600 model, delivering an ‘impossible to ignore’ speeder alert in a significantly more compact solution than traditional beacons. By clustering the LEDs into a smaller footprint, the same light from a typical flasher becomes an urgent notification for the driver. 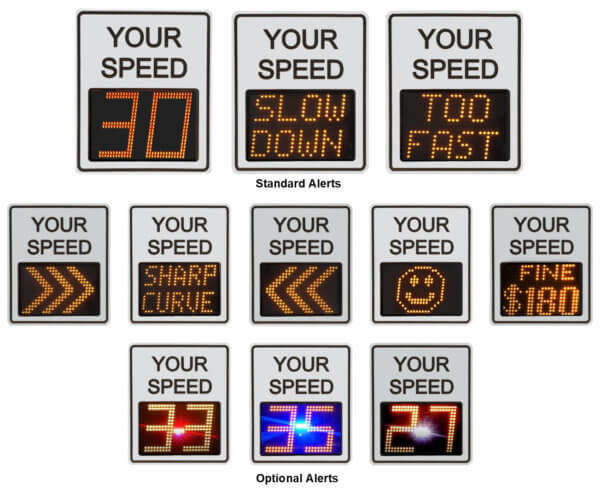 Hyper-Alerts™ can be included as an option with new sign purchases, or retrofitted into existing Model TC-600 radar speed signs. The TC-600S will run efficiently enough to operate 24/7 in most of the United States geography. Even a week of total darkness would not keep either sign from operating. Another benefit of the 46-watt panel is that it is small enough to be unobtrusive in a neighborhood setting. TC-600A (AC Powered): 41 lbs. TC-600 with Hyper-Alerts™: 47 lbs. 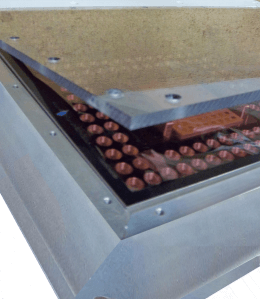 Internal .375″ aluminum shield over LED display to protect components from abuse or vandalism. OTA software updates (over the air): Allows the wireless delivery of software updates and upgrades directly to the radar speed sign. This is not possible with Bluetooth. 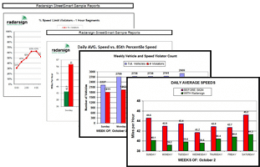 T he radar speed sign records traffic data that can be used to confirm date, time, and severity of speeding problem. Reporting requires optional StreetSmart to generate charts and graphs. The information collected by the radar sign is loaded into Excel™ready .csv files, and can generate 35 charts and graphs.